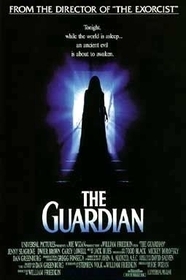 Director William Friedkin's The Guardian is an excellent film that unfortunately suffers for a number of ridiculous plot developments in the climax. The plot is a bit loopy throughout, but Friedkin and the cast do an excellent job pulling it off so that it's not goofy. Jenny Seagrove plays a woman with changing names who subversively acquires nanny jobs in order to accomplish her ulterior motive-snatching babies to sacrifice to a nature spirit, specifically as embodied in trees. On its surface, this does sound silly, and I suppose in hopes of offsetting that reaction, Friedkin opens the movie with a quote about Druids making sacrifices to trees because they believed spirits to live in them. The opening quotes really weren't necessary, though, as the fine filmmaking displayed (at least until they trash any sense of logic at the end) makes most of the plot work. The opening scene explains Seagrove's role. The family whose baby she absconds leaves, another family moves into town, and Seagrove ends up as their nanny. There's more to her than I've explained and than has been shown to this point, but you'll have to watch the film to find out the details. The Guardian is a big budget film and looks like it. Much of it plays like a delightfully surreal version of The Hand that Rocks the Cradle. 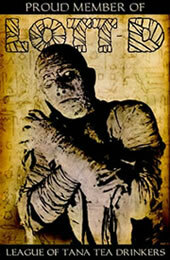 There are serious thrills in many parts and well done, if sparse, gore. On a gut level, the ending is satisfying, but if you think about it at all, the script takes a number of inane turns-many of them involving characters who either run towards danger rather than away from it, or who just sit still when danger comes to them. In some scenes, characters leave their cars behind in favor of running, in others wolves that can break down doors can't get over a small fence. Also, Seagrove has inexplicable powers in some parts that are only there to enable tidying up what would have otherwise been problematic script developments. The list of bad plot decisions continues throughout the last reel. On the other hand, the climatic scene featuring Seagrove's male employer is one of the more memorable ones I've seen in any film. It is wonderfully bloody and silly at the same time. It again defies logic, but when visuals are that powerful, you don't particularly care about logic. It's too bad the visuals weren't consistently superb in the other problem sections. This is an excellent film not to be missed provided that you turn your brain off for the last reel. Despite this serious flaw, The Guardian is worth checking out for serious genre fans. However, anyone who has problems with plausibility in horror films shouldn't touch this one with a 10-foot pole.